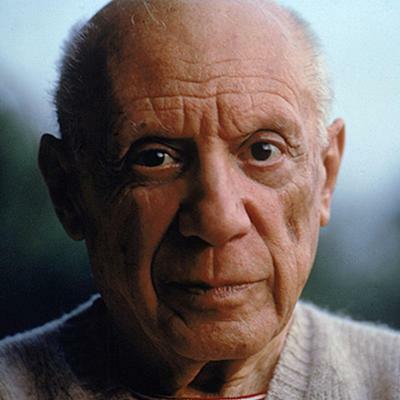 Pablo Picasso was born in Malaga, Spain on October 25, 1881. By the age of 15 he was already technically skilled in drawing and painting. Picasso's highly original style continuously evolved throughout his long career, expanding the definition of what art could be. In addition to painting, he would explore sculpture, ceramics and other art forms, and become one of the most influential artists of the 1900s. Paintings from Picasso's blue period (1901-1904) depict forlorn people painted in shades of blue, evoking feelings of sadness and alienation. After his move to Paris in 1904, Picasso's rose period paintings took on a warmer more optimistic mood. In 1907 he and French painter George Braque pioneered cubism; and by 1912 Picasso was incorporating newspaper print, postage stamps and other materials into his paintings. This style is called collage. By the late 1920s he turned toward a flat, cubist-related style. During the 1930s his paintings became militant and political. Guernica (1937), a masterpiece from this period depicts the terror of the bombing of the town of Guernica during the Spanish civil war. Following World War II, Picasso's work became less political and more gentle. He spent the remaining years of his life in an exploration various historical and experimental styles of art like sculptures, etchings and ceramics. Picasso died on April 8, 1973 at his home, Notre-Dame-de-Vie in Mougin, France. He was buried on April 10 at his chateau Vauvenagues, 170 kilometers from Mougin.